It is a cold winter morning in Mendoza. The vineyard, peeled and in full pruning, looks puny compared with last summer’s foliage. But that’s okay, that’s the cycle of the vine. Now, when there is not much to see, is interestingly when the most important decisions are taken about the following harvest: pruning, soil tillage and the irrigation scheme, all of which will determine growth. However, there is something else, something one doesn’t normally see on the vineyard landscape. A quad bike is moving between the rows, the whirr of its engine coming and going. Seen from a distance, it could be a security patrol. And in some ways it is, although not keeping watch in this case: attached to the rear, a white steel plate is being dragged along the ground collecting data. But what are they monitoring? Paul Minatelli, the agronomist of Bodega Norton, explains: “We are mapping the soil to find out the resources that plants have at their disposal, their texture and especially the depth and the materials that they are made up of.” In this way, we know with some certainty about how the vines are nourished. It may seem like science fiction, but this mapping is key to determining areas and parcels within a vineyard. 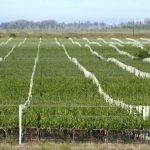 After all, it is of the utmost importance to understand the differences between each parcel in order to establish the practice of pruning and irrigation, harvesting and farming, according to which wine is to be obtained from each parcel. The result of this mapping is an image that agronomists use to decide what to do and when. 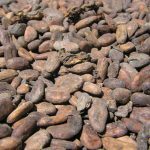 And it is being used today in Argentina, especially in areas that until a decade or two ago, were not cultivated. 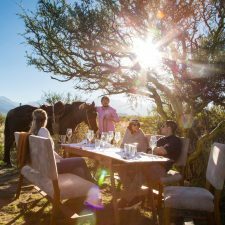 Perfect examples are Valle de Uco, in Mendoza, and Pedernal, in San Juan. The reason is simple: in many cases the ground hadn’t been prepared for planting grapes. It had been planted directly after clearing. And now the know-how exists to be able to get the full potential from the land. Luis Reginato, the agronomist at Bodega Catena, is also looking to find out more about establishing boundaries within larger areas. “Right now I’m gathering information on soils and temperatures in order to define areas in Gualtallary, Tupungato. The idea is to determine why and where good, very good and excellent wines are produced “he says. This will take a while, but we will soon be provided with well defined vineyards in which we can make great wines, time and time again. That is exactly what we are trying in this vineyard, where the whirr of the quad bike goes back and forth, producing a map of materials invisible to the eye. If all we had to do was study it, it would be easy, but now there are some important decisions to be made. 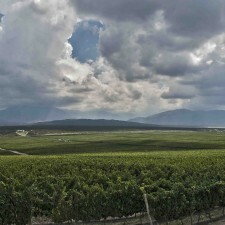 Altamira, Tunuyán in the Valle de Uco has become one of the most studied Geographical Indications in recent years. So much so that in 2013 a clear definition of the perimeter for wines of exceptional quality was achieved that is now referred to as the Paraje Altamira indication. As a result of this research, some specific agricultural practices were implemented to improve the wines. 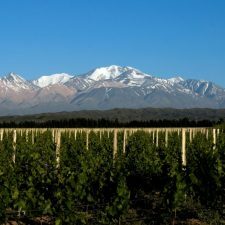 Sebastián Zuccardi, agronomist and winemaker of Familia Zuccardi Wines, who is currently working on this, says”We know that the soils in Mendoza are poor in organic matter. And we have learnt that it is important for the plant to have this matter at its disposal. So three years ago we developed a program in which millions of worms were used to compost all the material from pruning and then reintroduce it to the ground in specific areas, “he explains. In his view, the work of earthworms helps to establish a better balance in the vineyard, an equilibrium that translates into more well rounded wines. All in a natural way. They are not alone in this discovery nor is Altamira the only place where it is happening. 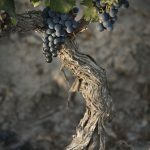 In any case the job of improving the texture and quality of the soil in which the vines vegetate requires many practices. One of the most interesting is undoubtedly water management. When one is designing a farm on virgin soil, one must consider the gradient and sun exposure. For example, the orientation of the rows in the vineyard. This was done with the thousands of hectares that were to populate the foothills between 1990 and the present day. The point is that, having foreseen these issues, irrigation was established by section. It makes sense: an automatic system that connects the phases of large irrigation sectors. That was the most convenient way of designing the system. But when the plants start growing and behaving differently in each sector and do not conform to the phases of irrigation, the natural question is: what’s under the roots and what is the best way to divide up the supply of water? The quad bike is now coming down the nearby rows. From here, it looks like it is dragging a teflon chopping board flush with the ground. It depends, however, on a decisive reading: where light, sandy soils are recorded, the watering will have to be adjusted in order to pour more water in those areas; where clay is shown, the opposite will be done. “It is vital for us to have that information: so we can provide the right amount of water that the plant needs to get the quality we’re looking for,” says Martin Kaiser, an agronomist from Doña Paula, in whose vineyards they are cross-checking soil data and the green index with aerial photography. 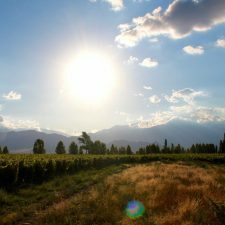 The point is that, with all the hard data now collected in the vineyards, like temperature, sunlight, relative humidity and rainfall, added to what is known about the soil and the green index, what we have is a cloud of data that promises to transform Argentine viticulture and its wines. 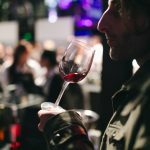 One way in which we can already see this happening is that wineries such as Catena Zapata, Altos Las Hormigas, Doña Paula and Norton, among many others, now have commercial lines that are taking into account the scientific variables such as those mentioned above. And it hasn’t halted their progress. 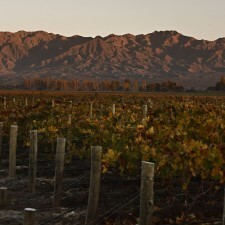 From the de-classifications that were carried out with Vineyard Designated Nicasia in the DV line, to the soil sections proposed by the line Parcel by Doña Paula, along with Lote from Bodega Norton and Pyros from Callia, and the new ones Piedra Infinita and Canal Uco from Zuccardi there is a whole universe to rediscover in Argentine wine. A universe that is directly under the roots.